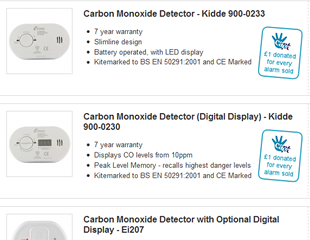 For every CO9X and CO9D FireAngel Carbon monoxide alarm sold Safelincs donate £1 to CAPT (Child Accident Prevention Trust). In the last quarter we are happy to announce that we have raised a fantastic £674 towards the great work CAPT do. This Year’s Child Safety Week is looking at preventing accidents, with its ‘Take a second look for safety’ campaign. 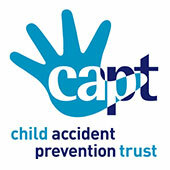 The Child Accident Prevention Trust (CAPT) are encouraging everyone with children or looking after children to take a second look at their environment to ensure that the children are safe. Accidents can, to a great extent, be prevented but despite this, accidents remain one of the biggest causes of death in children in the UK. It does not take long to take a second look around the house to see if there are any measures that can be put into place to prevent a child having an accident. This can range from ensuring that stair gates are closed to securing the garden and can also include checking that all smoke alarms are in good working order. Many people lead busy lives and without being reminded of these small things we would forget. If you need help with remembering to check that your smoke alarm is working or when you should change the battery in the alarm, you can register with our free smoke alarm reminder service. We will then send you a text or e-mail to alert you that the check is due. You control what check you would like to be reminded about and how often we should remind you. There is no charge for this service, but it could save your life. ‘Take a second look’ and check that you know how you would get out of the building in case of a fire. Is there a second escape route should the main exit be blocked by fire. Check if you are able to exit through an upstairs window should the stairs be involved in the fire, do you need a fire escape ladder to aid your exit? Ensure that your children know what they should do if they wake to smell smoke or see flames. Go through these points with them and even practice the escape routine. ‘Take a second look’ to see if there are any hazards that you could reduce to prevent a fire from happening in the first place. Check your plug sockets and ensure that they are not overloaded. Are all cables to electrical equipment in good working order. Make sure that tea-towels do not hang too close to the cooker or that pans are never left to boil dry. Make all your ‘Take a second look for safety’ activities fun and include the children. We have developed a fire safety information and activity sheet for you to down load. Have fun with your children looking for dangers and then talking about how to prevent accidents from happening. Get your children to tell you if they see something that they think is dangerous. Children are looking at the world from a different height perspective and they may see something that an adult would miss. We want to help you keep your children safe. If you purchase any fire safety goods or a carbon monoxide alarm from us we will give you 10% off your order during Child Safety Week. To claim your discount, visit our website and quote CSWB at checkout to receive 10% off your order.